Holidays are serious business in Dorset Hills, so I worked hard during the dog days of summer to get my festive stories lined up. 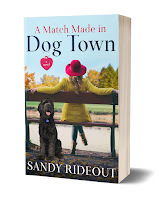 Last week, the season kicked off with a Thanksgiving-themed novel, A Match Made in Dog Town. Someone is out to shut down her shelter. 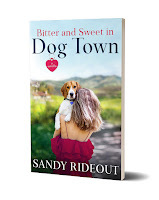 Can she save her rescues and her home before it's too late? 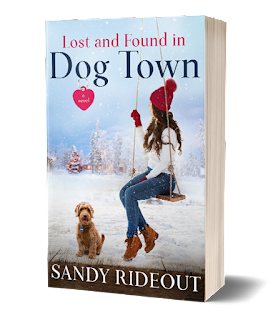 This week, jingle bells are ringing with Lost and Found in Dog Town - a Christmas rom-com with a mysterious twist. A mischievous mutt is missing. A dognapper is playing a dangerous game. 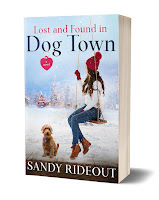 Can she solve the riddle without putting her beloved pup and her family at risk? Why would anyone steal the dog of a hardworking community nurse and single mom? And at Christmas, no less—the biggest day on the Dorset Hills social calendar. But there’s a side to sweet George that Mim never knew. She’s always been a little blind to the males in her life. That’s a mistake she won’t make again with Carver Black, the handsome neighbor with the chip on his shoulder. Carver wanted George gone… but he wasn’t the only one. Suspects are popping up all over and Dog Town isn’t taking the situation seriously. Christmas has always made the city silly and this year is worse than ever. When the threats turn deadly, Mim puts her safety on the line to protect her home and family. But will it be enough? 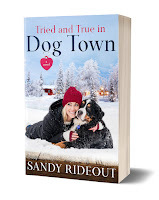 The series picks up in a couple of weeks on New Year's Eve with Tried and True in Dog Town, which you can pre-order now, along with Yours and Mine in Dog Town. 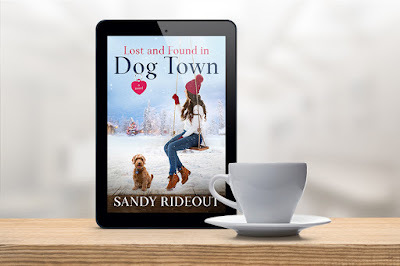 Meanwhile, if you're really ready to dive into the holiday season, try the sample of Lost and Found in Dog Town below. This series is great fun to write. I hope you'll visit Dog Town and decide to stay for a very long time! In Dorset Hills, there were five official seasons: spring, summer, fall, winter and Christmas. The fifth and most popular season began at the stroke of midnight on Thanksgiving. From that moment on, it was considered good etiquette to offer Christmas greetings to family, friends, acquaintances and strangers. Not that anyone stayed a stranger for long in Dorset Hills, especially if they owned a dog. The town’s main claim to fame was being the destination for dog-lovers in North America. But “Dog Town” took great pride in delivering a spectacular Christmas experience as well. Decorations went up before the last of the Thanksgiving leftovers disappeared, and Dorset Hills City Council made it a mission to deck the halls in style. The official website offered downloadable guidelines under the guise of energy-saving suggestions, but really to avoid some of the tacky displays seen elsewhere. In fact, the guidelines had gone up after someone’s inflatable nativity scene was vandalized. It was one thing to deflate Santa and his reindeer, and quite another to puncture Jesus in his manger. Most families stuck to the sanctioned strings of white lights, pine boughs and simple red accessories. Once in a while a rogue angel appeared on someone’s lawn but soon vanished, presumably shamed into flight by the neighbors. The result was that the town—actually a small city that persisted in calling itself a town—was oddly uniform at that time of year, though undeniably pretty. A sprinkle of snow made it even prettier. On Tuesday December 17th, everyone breathed a frosty sigh of relief as the first fat flakes of snow began to fall around noon. A green Christmas was cause for consternation in Dorset Hills, particularly for City Council. Green was bad for business. The town attracted tourists by the busload to witness its classic and tasteful observance of the season. The tree-lighting ceremony for a massive fir took place on the first Friday in December in Bellington Square, outside old city hall. Every night afterwards, there was a seasonal performance great or small, from school bands to a world-class soprano to a scene from the Nutcracker performed by very cold ballet students. By the time Mim Gardiner finished her shift at the hospital, the snow was well in hand. She took the long route home, although it was one of the rare nights she didn’t have an evening call. In addition to her full-time job on the oncology ward, she worked as a community nurse making home visits. For years, she’d needed the extra money; now she continued because her regulars depended on her. It was a constant juggling act that wore her out. Driving along the plowed and salted roads, she admired the houses sparkling in the darkness. Most had Christmas trees displayed in the front window, which also featured simple, elegant decorations. She wondered if any of the homes she passed had a secret tree hidden away that was covered in a riot of colorful decorations. The “real” tree, as it were. Hers was in the family room, hung with battered ornaments from her own childhood, along with a series of whimsical hand-carved dogs with antlers. It was a Dog Town irony that quirky dog ornaments sold like hotcakes in the gift shops on Main Street, yet weren’t sanctioned for residents’ homes. The only house on Mim’s street that wasn’t already lit up at six thirty p.m. was her own. Pulling into the driveway, she sighed. A slash of light at the side of the house confirmed that Kyle was holed up in his room. He never remembered to turn on the porch light, let alone the Christmas lights. While Mim thought Dorset Hills took the holiday season way too seriously, she liked to keep up appearances. She’d learned long ago that it was better to blend in than stand out. The front door was unlocked but she had to shove it open. As usual, Kyle had dropped his backpack and coat just inside the door when he got home from school. She turned her ankle on one of his shoes and cursed quietly. It seemed like he placed them in different positions every night so that she couldn’t figure out a pattern. She didn’t get an answer—didn’t expect one. On the way to his room she hit every light switch, pausing to shake her head over the wrappers in the hall. He’d left a trail of crumbs to find his way back to a kitchen left in ruins. A half-stripped chicken was sitting on the counter courting salmonella. Mim took a deep breath. 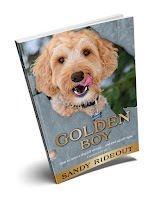 The room smelled of boy: sweaty hockey gear mixed with rotting food, and god knows what else. She would put up a BIOHAZARD sign if there were any hope of making him laugh. Kyle’s sense of humor had more or less disappeared a few months earlier. She assumed this was a phase all 15-year-old boys went through and that it would pass. Still, it was hard. They’d been an inseparable team for years after Andrew, her ex-husband, had left, and only recently had her son drifted away. She reminded herself that it was not only normal but essential that Kyle become more independent. But she missed him, and the house would have been very lonely if not for sweet, loving George, her perpetual puppy. Usually the dog was on Kyle’s bed, ready to activate. The second she opened the door, George would hurl himself at Mim with a joy that never diminished. He only had three gears: sleeping, waiting and frenzied. George was what Dorset Hills dog snobs sneeringly called a “designer mutt.” His heritage was a secret known only to his breeder, but seemed to include a dose of golden retriever and a good helping of poodle. 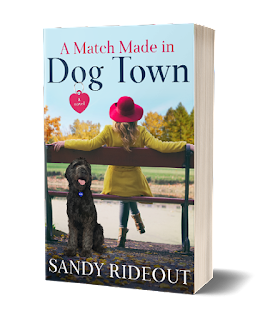 The only thing Mim knew for sure was that George’s dad was a fox-red Australian labradoodle, which in itself was a hybrid. All of these carefully crossed lines came together in an adorable 30-pound package of allergy-friendly good cheer. To Mim, George had the best traits of a big dog and small dog combined. He had a serious bark when it was needed yet liked nothing better than curling up in her lap in the evening. Well, there was one thing he liked better, and that was following Kyle around, hoping for crumbs of food and attention. The latter had been in short supply lately, and the little guy didn’t understand Kyle’s mood change. George had once been the light of her son’s life. Now the dog had become mostly invisible and even an annoyance. Yet he was constantly at Kyle’s feet, waiting for his boy to come back and love him. Mim admired George’s loyalty, as much as it frustrated her. She’d always been the one to feed, walk and brush him, the one to clean up his messes, including the dead frog he’d disgorged on the family room carpet. Kyle had nonetheless always come first in the dog’s eyes, although George had plenty of love left over for her too. Normally, that is. Tonight he was nowhere to be seen. The “pocket rocket,” as they called him, had failed to launch, and his spot near the pillow was empty. “What?” Kyle looked confused, as if the name didn’t quite ring a bell. There was no answering bark. No clattering of claws over the hardwood floor. Just an odd silence. Was he trapped in the basement or something? He glanced at the clock radio on his bedside table. Mim turned at the same time. They jostled each other in the doorway and bumped shoulders all the way down the hall as they hurried into the kitchen. Even in the midst of her worry, Mim was surprised that Kyle was five inches taller than she was, although probably only a few pounds heavier. Their grocery budget had doubled, yet he was still scrawny. Reaching the door to the backyard first, Mim yanked it open and stepped outside. Kyle flipped on the porch light before pushing past her and walking out onto the snow-covered deck. The yard was not large, and aside from a trio of elegant birches and a row of squat evergreen shrubs along the fence, there was little to see and nothing even a small dog could hide behind. Inside, her snow-dusted socks slipped across the tiles and she nearly fell as she yanked a drawer open. Kyle was on his knees when she came back. He called “George” into the darkness under the porch. Mim tossed him the flashlight and he shone the beam into every corner.